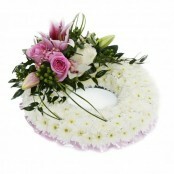 Traditional wreaths are a popular flower tribute choice and are thought to symbolise the full circle of life. 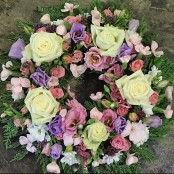 At Sarah Coxon Floral Design, we have many designs to choose from, and if you can't see what you are looking for, we are always at the end of the phone to talk through your order with you. If you are not sure what to write on your card message, we have a section dedicated to suggested wording which you may find helpful.